Not that typos never occur in this blog; but the capitalization in the title is not one. 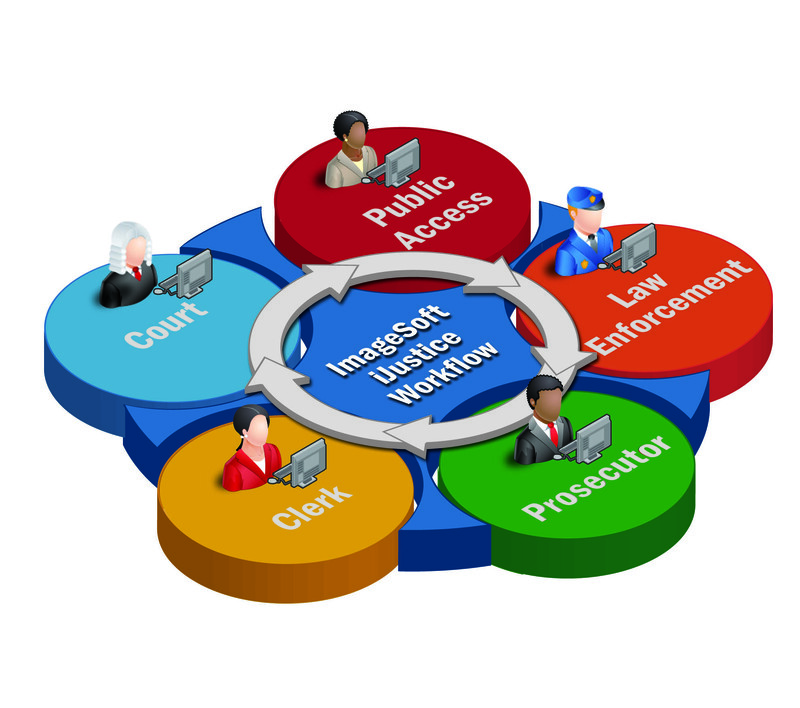 In considering the challenges of information and document flow through the justice system as a whole, I thought it appropriate to tie Donne’s observation to ImageSoft iJustice, an inter-agency integration tool, the very purpose of which is to connect the separate but inexorably linked enterprises of the justice system: court, prosecutor, law enforcement, jail, corrections, etc. One of the emergent challenges manifesting itself within the justice system is that many, if not all, of the disparate systems across the myriad agencies of the justice system, having been developed separately and at different times, do not communicate well, with one another. Thus the court and its close partners, although intimately linked at the business level, often reside on their own separate digital information islands. Integration at the data level is a topic the sheer size of which too often discourages any consideration of how to facilitate better, more seamless communication. But the fact is that a major portion of the communication challenge can be solved without touching the more daunting and costly data integration problem. In the pre-digital era, communication and document movement across agencies operated using physical, paper documents. This communication had little to do with the internal data systems (like the court’s Case Management System (CMS)or the jail’s Inmate Tracking System (ITS). It was the lowest common denominator (paper) way to move information (and trigger action) from island to island. In those olden days, “border crossings” did not seem unduly burdensome, as paper documents were created, then moved from agency to agency. This solution saves time “at the border” (on BOTH sides). It also allows each agency to work on “internal” systems integration at its own pace, while all agencies get the benefit of common document management and workflow. Moreover, the commonality of interest, coupled with the fact that integrated ECM with workflow requires much less money and effort than full cross-agency data system integration, makes the opportunities for cooperative multi-agency funding considerably more simple and attractive. By sharing and leveraging the costs, each agency can potentially get MORE internal benefits (their own ECM and workflow) and IN ADDITION the benefits of streamlined communications and interactions, and expedited justice; with each of its partners for less up front and ongoing cost. “No man is an island, entire of itself; every man is a piece of the Continent, a part of the Main…”, Devotions Upon Emergent Occasions, “Meditation XVII”, by John Donne, 1624.